DC999 Viceroy Artist/Drafting Chair. The popular choice for the graphic designer, this contemporary drafting chair has superior quality at a reasonable price. 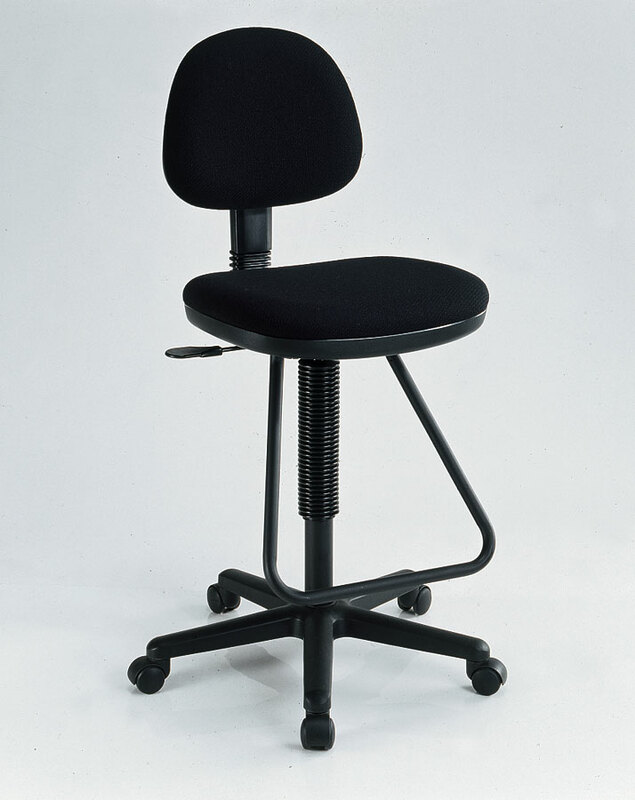 Features include pneumatic height control, polypropylene seat and back shells, a height and depth-adjustable hinged backrest, built-in steel teardrop footrest, dual wheel casters and a 24" diameter reinforced nylon base. Seat cushion is 18"w x 17"d x 2" thick. Backrest is 14"w x 12"h. Height adjusts from 23" to 33". 119 points will be rewarded when you are logged in to your account and buy this item.